If you have kids, you probably have a mountain of candy from trick or treating and Halloween parties. You could eat it all right now, or maybe you did last night, but that would be a tad gluttonous and bad for your health. So after you’ve picked out a few pieces, what do you do with the rest of it? This was the first year that I had heard of it, and it is genius! Simply find a participating dentist or company in your area that is offering a buyback. The idea is that the dentist buys candy from the kids to get some of that sugar off the street and the kid benefits by getting some sweet cash instead! 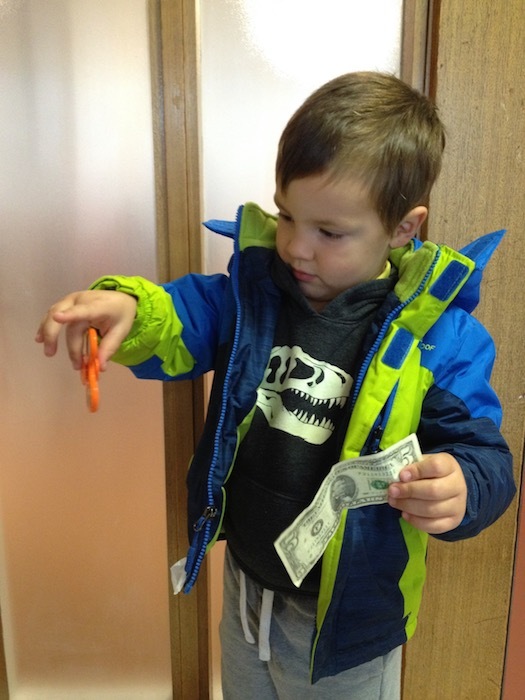 Frugal Boy brought in a pound and a half of candy and the dentist gave him $5 AND a fidget spinner. Honestly, they could have just given him the fidget spinner and he would have been tickled pink. I’m not a huge fan of this common practice but it is very effective in getting sugar out of your house. The reason why I’m not a fan of it is that you’re promoting bad health habits amongst your coworkers, ya know, the people you share health insurance with. If you want to be really frugal, throw it in the freezer and dig it out next year to hand out to trick or treaters. If that idea is to scuzzy for you, then consider reusing it personally for easter egg hunts in the Spring. The stores have been promoting Christmas since the beginning of October anyway, so why not get a head start on making gingerbread houses. 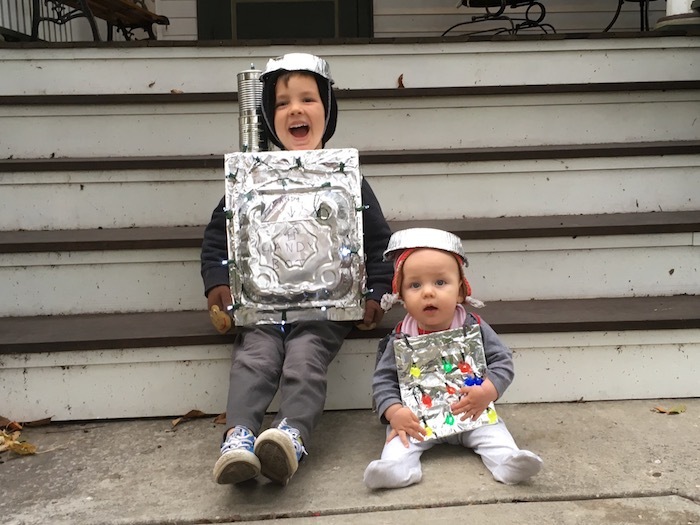 You’ll have something pretty (or sentimental if little kids are participating) and you can simply toss the whole affair when you are tired of looking at it. It is okay to throw out junk food. I give you my frugal permission to not feel bad about it. 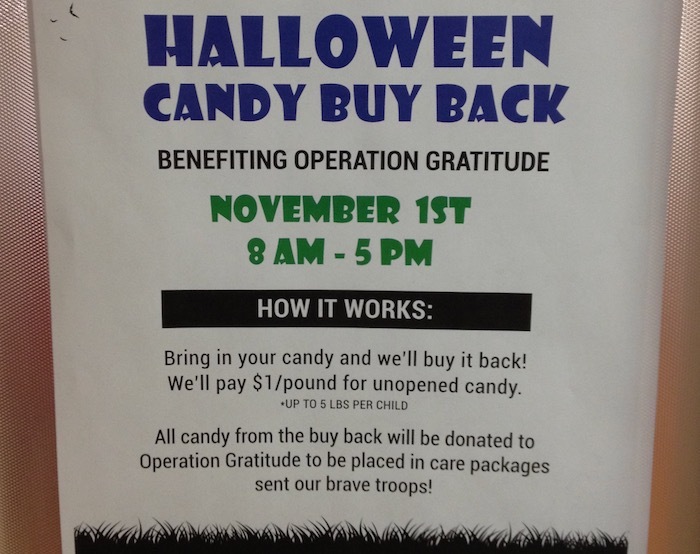 If you really want, you can make your own ‘buyback’ program to sell it to your kids and have them bring their candy to you and you supply the cash to them. Next year try to buy less and maybe call trick or treating over a bit earlier. You don’t really need to hit every house in the neighborhood. I try to limit how many houses we visit and usually stick to ones of people that we know. Even keeping the list short, we still end up with a surplus of candy, so use a combination of the above methods to keep the sugar intake to a minimal. We still have Thanksgiving and Christmas to get through so your body will thank you in the Spring if you practice some self restraint now. Leave a comment with your favorite ways of using that mountain of Halloween candy.